Terming the CBI 'Compromised Bureau of Investigation' following its clean chit to Madhya Pradesh Chief Minister Shivraj Singh Chouhan in the Vyapam scam, the Congress on Wednesday said it will file a private complaint against the agency in a trial court.The party also pointed fingers at certain appointments made by the government in the Central Bureau of Investigation and the National Investigation Agency. "The CBI's name has been changed to Compromised Bureau of Investigation after the Vyapam scam probe. Now, we will have to investigate the investigator (CBI). If the country's investigators become traitors, then the Congress will investigate them. "We will file a private complaint against the CBI in the trial court. Now, we will charge-sheet the agency that files charge sheets. They will be charge-sheeted in Madhya Pradesh. We will urge the court for proper investigation. Everything will be clear," senior Congress leader Kapil Sibal said.The Congress leader also accused the Narendra Modi government of "vendetta politics" and said government agencies only targetted prominent state Congress leaders. "In Punjab, it is Amarinder Singh; in Himachl Pradesh, Virbhadra Singh; in Rajasthan, Ashok Gehlot and Sachin Pilot; in Haryana, Bhupinder Singh Hooda; in Uttarakhand, Harish Rawat; in Maharashtra, Ashok Chavan; in Karnataka, D.K. Shivakumar and P. Chidambaram's son Karti Chidambaram," Sibal said. "The CBI does whatever the government says. This is unfortunate," he added. 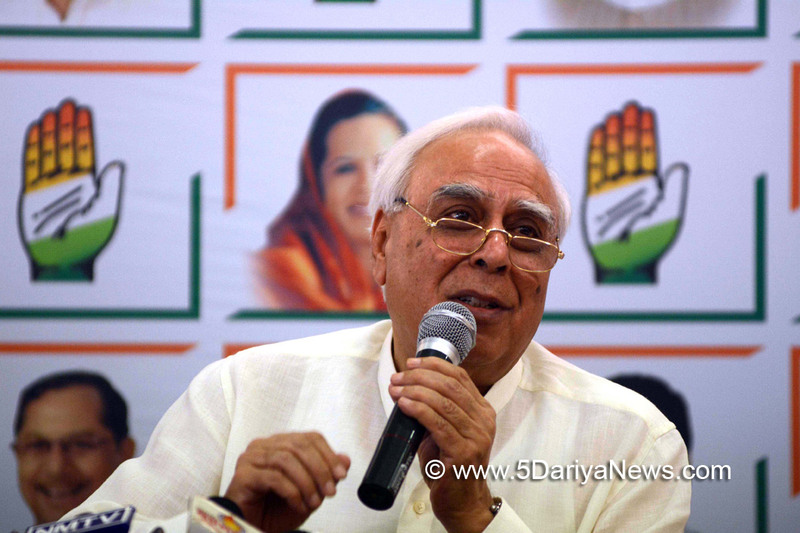 Sibal said: "There are documents against the Bharatiya Janata Party as well. Even Prime Minister Narendra Modi is involved in the Birla diaries. There are diaries against other BJP leaders as well. But there is no investigations. ""There is also no probe into allegations against BJP President Amit Shah's son. Now, it is Vyapam. The country in which the investigating agency is biased and violates the rule of law, what happens to its democracy?" the Congress leader asked.Talking about the Vyapam scam investigation, Sibal said: "The CBI had said a hard disk with data was seized on July 18, 2013. On July 22, it was sent to the Gujarat forensic laboratory. "A Deputy Superintendent of Police, Dilip Soni, had in fact taken it to the Inspector General's office on July 17. But before that, it was taken to one of the whistle-blowers Prashant Pandey, who took a copy of it in his pen drive. "If the CBI says it was seized on July 18, how did it reach the IG's office on July 17. It means it was seized before that date. In this period, they manipulated the hard disk and the Chief Minister's initials were removed," he added.Sibal said: "We sent the same pen drive to the Truth Labs in Hyderabad. They gave a report that it is absolutely right and there was no tampering. "The CBI did not consider this report. One of the CBI officers, whose name is there in the diary, has been made the Special Director. A person who probed the Gujarat riots has been made the National Investigation Agency chief. If you appoint your own people in such positions, there will be no impartial probes," he added.The CBI on Tuesday filed a charge sheet against 490 persons in the multi-crore Vyapam examination scam that broke out in Madhya Pradesh in 2013, while giving a clean chit to Chief Minister Shivraj Singh Chouhan.